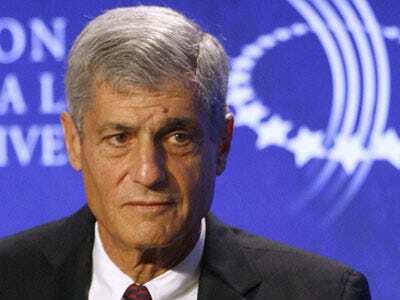 Robert Rubin: Why Won't He Go Away? Truthout / CC BY-NC 3.0As Treasury Secretary, Robert Rubin put in place all the pieces that set up the economy for the disaster that we are now living through. He pushed legislation that weakened regulation of the financial sector; he cheered on a stock bubble that eventually grew to $10 trillion and he established an over-valued dollar as a matter of official policy. He then left to take a top job at Citigroup where he was able to enjoy the fruits of his labour. He earned well over $100 million in the decade after he left the Clinton administration. In the fall of 2008, when Citigroup was saved from bankruptcy with a taxpayer bailout, Rubin quietly slipped out the back door (with his money), resigning from his position at Citigroup. It may not seem just that someone like Rubin would be allowed to live out his life in luxury after the policies that he promoted and personally profited from led to so much suffering for so many people. But that is the way things work in the United States these days. However, what is even more infuriating is that he doesn’t seem to have any intention of going away. He is still pontificating on the economy and desperately trying to rewrite history to exonerate himself. In a recent public talk, Rubin told his audience that “virtually nobody” saw the financial meltdown. Therefore, he excused himself for missing it along with everyone else. While it may be true that the top people in policy circles and among the Wall Street crew with whom Rubin associates really are clueless about the economy, it was, in fact, very easy for a competent economist to see the crisis coming. House prices diverged from a 100-year long trend in the mid-90s, just as the stock bubble began to pick up steam. By 2002, nationwide house prices had risen by more than 30 per cent after adjusting for inflation. This followed a 100-year period in which they had just kept even with the overall rate of inflation. There was no plausible explanation for this run-up in house prices based on the fundamentals of either the demand or supply side of the housing market. Income and population growth were relatively slow by historical standards. In addition, we were building homes at a near record pace, so there clearly were no major obstacles on the supply side. Furthermore, there was no remotely comparable increase in rents, so there was no evidence of an undersupply of housing; a fact that was also borne out by the record vacancy rate of this era. So, it should have been clear to Robert Rubin and every other economic analyst that the housing market was in a bubble. When I first began writing about the bubble in 2002, it had already created more than $2 trillion in housing-bubble wealth. By its peak in 2006, the bubble had grown to more than $8 trillion. Could anyone believe that $8 trillion in housing wealth could disappear without serious consequences for the economy? This was the most predictable disaster imaginable. There was no excuse for the people in policy positions having missed it. This is why it is infuriating to see Rubin still running around with his stories about “virtually nobody.” The response is that anyone who had a clue could not miss the housing bubble and they should have done everything in their power to try to deflate it before it reached ever more dangerous proportions. Rubin did the opposite – he put in place bubble friendly policies as Treasury secretary, then profited enormously from these policies after his return to Wall Street. Reading Rubin’s comments, it is hard not to think of George Wallace. The former governor of Alabama made his name on the national stage as an ardent supporter of segregation, famously blocking the schoolhouse in front of young black children trying to attend a previously segregated school. Later in his life, Wallace had a change of heart and regretted his earlier actions. He went around to commemorations of major events in the civil rights era and begged for forgiveness. Wallace’s presence at these events was no doubt painful for many of those who had to confront the brutality of the racist system in which Wallace had played such a key role. He could have served the world much better with more private expressions of contrition. Having inflicted enormous damage on tens of millions of families who have lost their jobs, their homes and/or their life’s savings, it would be nice if Rubin could have the decency to fade from the public scene. At least Wallace had the integrity to acknowledge that he was wrong.